THIS PREGNANT pole dancer was still on the pole just TWO HOURS before her contractions began despite her family telling her she was putting her baby at risk. 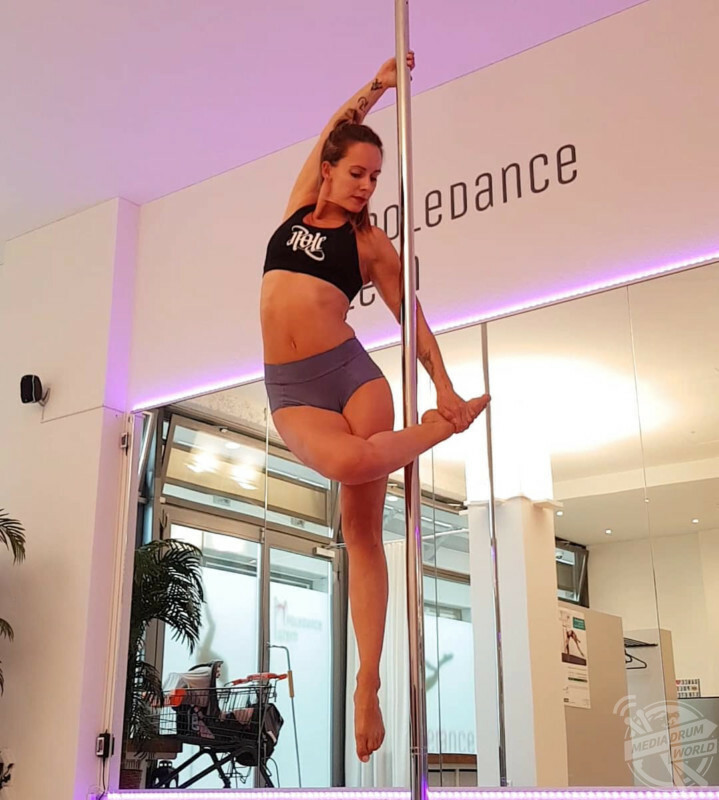 Pole dancing instructor Christina Spirig (31) from Luzern, Switzerland, has been training in pole dance for eight years, and her talent wasn’t stopped during pregnancy as she continued to amaze people with her skilled pole routines, with a full bump. Christina explained that going into labour so close to her contractions was safe because the motion of her pole dancing would always send her baby to sleep. Christina at 27 weeks pregnant. 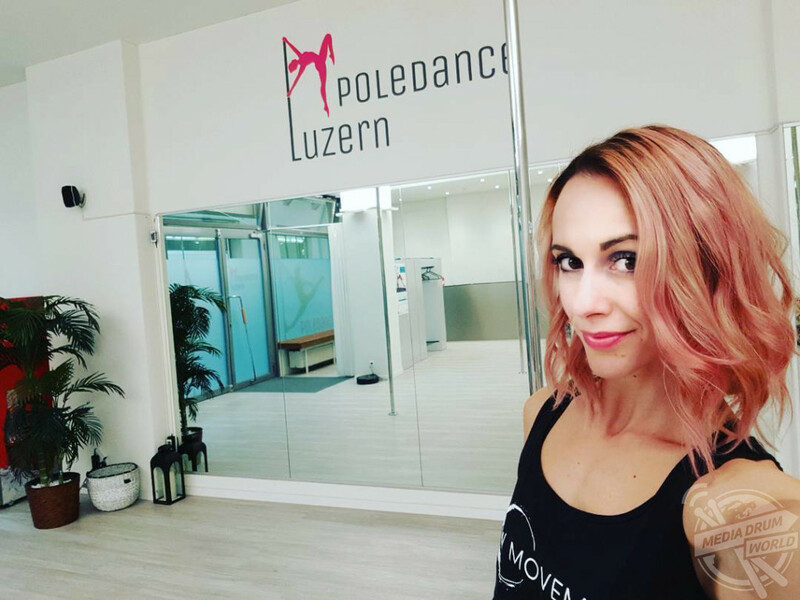 Christina, owner of Poledance Luzern, welcomed her second child in June 2018, after she already had an eight-year-old son. It was only after welcoming her first son that Christina found her love for pole dance when she wanted to find a sport that she had a real passion for. After having done gymnastics for years when she was young, Christina saw a picture of a friend on a pole and decided she wanted to give it a go. Christina at her baby shower. “I have been doing pole dancing since 2010, after the birth of my son when I wanted to find a sport like gymnastics that I could be really passionate about,” said Christina. “When I saw a picture of a friend on a pole that’s where the journey began. “Pole dance can give you so many physical and mental benefits. “You can get fit, muscular, flexible and balanced while doing it. It’s the combination of strength, flexibility, art and dance that make it such a forever passion. “Pole dancing has so many tricks, combinations and shapes you can do so that gives you constant motivation to continue with training. Christina doing her first handstand and splits after giving birth, despite losing flexibility. “You can also achieve a lot of things already in the first weeks which makes you happy, confident and motivated to carry on. “From the beginning of my fifth month of pregnancy, when my belly really started to grow, I eliminated every trick that touched the pole with the belly and all the drops and flips. It’s important to make a smooth landing and to avoid hitting anything. Christina after having her baby, back on the pole just 7 weeks post partum. “It can be dangerous if you fall from the pole or if you crash into it with your belly. I also was inverting with more speed than just the strength it takes so that my abs could separate healthily – to give the uterus enough space. “It’s important to have a good body balance and to know what your body is capable of. The longer you’ve already done pole dancing for before you get pregnant, the better. Christina at 38 weeks pregnant. Christina trained between three to five times a week until she reached six months of her pregnancy, although she adapted her routines for the safety of herself and the baby throughout her full pregnancy. For the final two months of her pregnancy Christina trained just once a week for 45 minutes. Christins at 37 weeks pregnant. “At times it was hard to mentally accept that my body was changing and to be happy with everything that works and what doesn’t work while being heavily pregnant,” Christina said. “I listened to my body, and if it felt bad, weird or insecure then I wouldn’t do something. In my own opinion, it’s good to stay in the same level throughout your pregnancy or even to take a lower level class rather than try new things. Christina dancing at 31 weeks. “It’s important to have the know-how of a professional dancer at hand and the level of practice involved to carry on while pregnant. Nobody is the same, so it depends on the individual, but professionals know what they can or can’t do. “Some people were worried that I would fall, or I was putting my baby in an unnecessary risk, especially my close friends and my family. Christina at 26 weeks pregnant, doing the splits. “Other people gave me lots of compliments about the videos on Instagram and other pregnant pole dancers asked me for advice on certain tricks. Christina at 24 weeks pregnant. Christina loves accomplishing new tricks and combinations on the pole as well as teaching her clients new routines and helping them improve. She wants to encourage as many new pole dancers as possible to give the sport a try with an open mind and see where it can take them. Just seven weeks after giving birth, Christina got back onto the pole and began strengthening her body with gentle routines and positions. Christina owns her own pole dancing company and loves teaching others. “No matter how you look, how fit or flexible you are, every person can do pole dance,” added Christina. You can follow Christina’s pole dancing journey and watch her incredible routines on her Instagram, @christina_poledanceluzern.